Hello and welcome to the latest edition of our monthly newsletter! We’ve hit August and the 47th edition of our monthly newsletter; thank you for taking the time to visit us whether it’s your first time here or if you’re a returning visitor. It’s unbelievable that we’ve already hit August 2017; we’re in the prime months of the summer season and grilling, outdoor entertaining, etc. are still in full effect. School will be back in session soon but that doesn’t mean that the grilling needs to stop, in fact, these warm summer nights are the perfect occasion for heading outdoors and firing up the grill. This month we have quite a bit of content lined up. 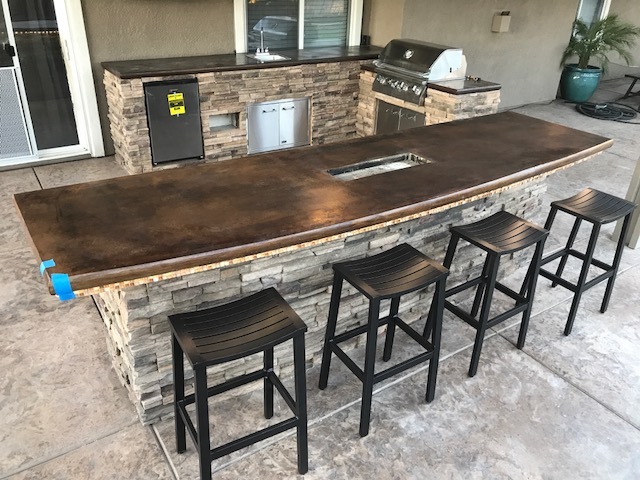 Starting things off, we have an in-depth look at our bar center — if you’re looking for the full outdoor entertaining experience, the bar center is an essential piece to add to your set-up. We also have an extensive piece on our 32″ BBQ grill where we break down some of the grill’s standout features. We also take a look at our door drawer combo. Finally, for this month’s recipe, we have an office favorite — BBQ grilled oregano chicken, which is a delicious twist on a grilling classic. Again, thank you for visiting our newsletter! Let’s start at the top. Our grills feature an XL temperature gauge which is mounted on the front lid; as the name states, it’s extra large for ease of use and readability. It’s lined with polished stainless steel and it registers temperatures in both Fahrenheit and Celsius. The front lid of the grill also comes equipped with our polished stainless steel XL full length handle. 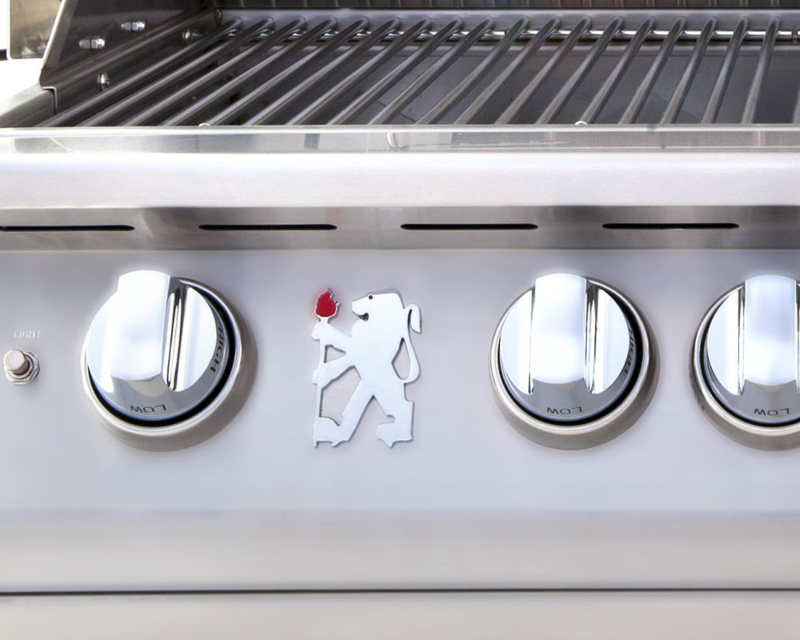 Opening your grill hood is a breeze and our eye catching handle not only looks beautiful but it’s also constructed from high quality stainless steel. The interior of the grill has dual lighting which makes grilling during the evening a breeze by allowing the user to maintain the proper amount of illumination during anytime. The inside of the grill also comes equipped with a warming rack which is fully adjustable and perfect for keeping any variety of food warmed by way of the infrared back burner that also comes standard with our Lion grills. The back burner is crafted from ceramic and outputs 15,000 total BTUs making it the perfect tool for slow roasting or cooking. Parallel to the back burner is our rotisserie kit and mounted rotisserie motor. The rotisserie motor is stainless steel geared and has the ability to hold and rotate up to 40 lbs. Rotisserie chicken, prime rib, etc. are perfect for this! 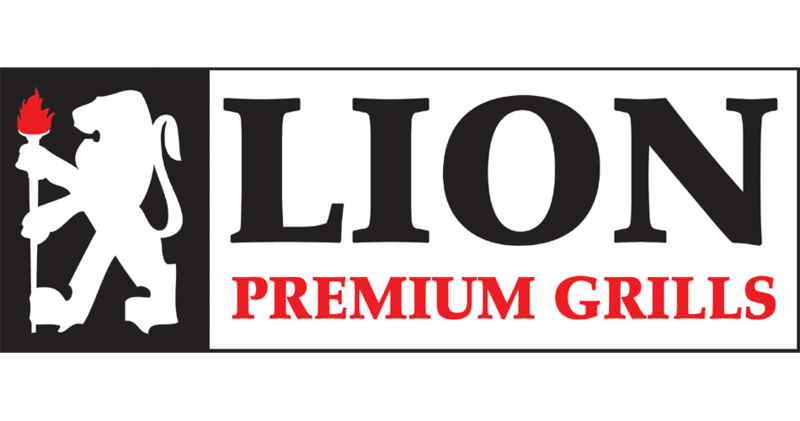 This month we are going to take a look at one of our most popular accessories — the Lion Premium Grills Door and Drawer Combo. 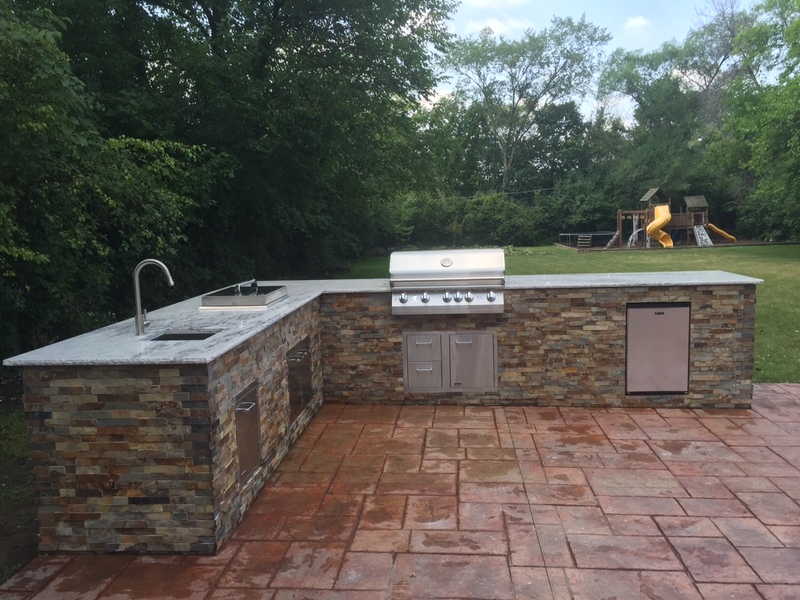 Below we’ll delve into what makes this such a vital piece to any outdoor kitchen / bbq island set-up. Simply put, it’s extremely durable, sleekly designed, and greatly expands the functionality of any outdoor kitchen. 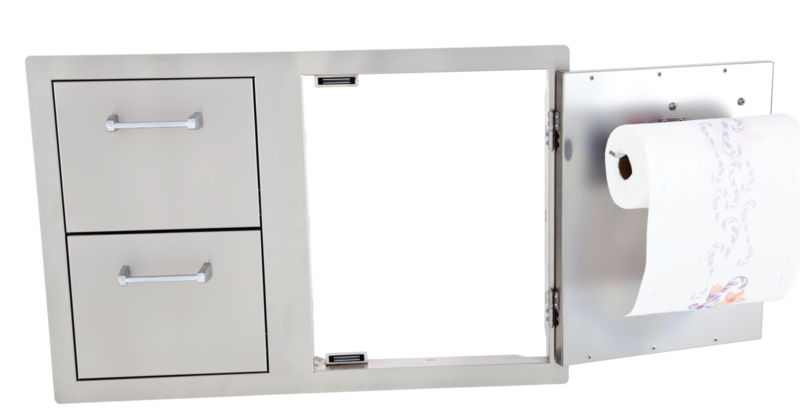 First off, our door and double drawer combo unit is constructed from dual lined 304 grade 16 gauge stainless steel. We continuously hone in on this fact, but it is one of the most important points that we like to stress about our products. It is the highest grade of commercial stainless steel, it is durable and resistant to rust, it looks impressive to the eye, and is anything actually more important than the very material that the product is constructed from? Lower grades of stainless steel are flimsy, will rust, and are susceptible to bending, warping, and other types of damage. Simply put, the difference in quality is immediately noticeable — there are no two ways about it. 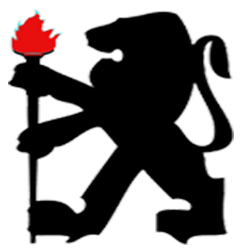 We take the utmost pride in the providing the user with only the best quality available. Second, the functionality of this unit can not be stressed enough. The access door features a towel rack and the double drawers contain more than enough space to store any multitude of cooking accessories, tools, etc. The door has a magnetic latch to prevent any unwanted opening/door swinging, etc. The drawers featured polished handles. As you can see, the double drawer combo unit also looks beautiful; the 16 gauge stainless steel shines and shimmers, the handles are tastefully placed, and the door is adorned with a subtle Lion logo. This unit definitely pops visually speaking. As was mentioned previously, this is one of our most popular upgrades; the drawer access is a very big deal and provides a ton of added convenience and functionality.